It's the first time the British Airways i360 has been open to the public in Brighton. The brand new British Airways i360 observation tower opens to the public today. It's the worlds tallest and thinnest moving viewing tower is based on Brighton seafront. Marcella Whittingdale was one of the first to go up the viewing tower and describes what it is like. The pod glides up 450 feet from Brighton Seafront in a 70 tonne glass viewing pod. You will be able to see spectacular views along the Sussex coastline and on a clear day you could even see as far as Gatwick airport. It's built on the site of the derelict West Pier. It cost 46 million pounds and is has been designed by the same team behind the London eye. Architects Julia Barfield and David Marks tells Heart about the project. A camera attached to a drone has taken some incredible footage and gives you an idea of what you will see from the top of the viewing pod. 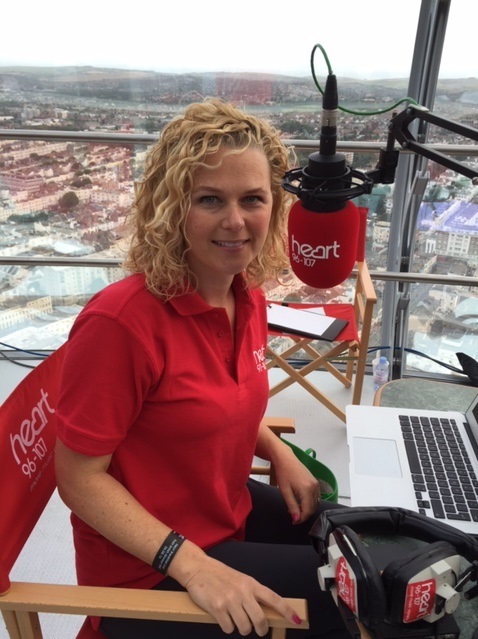 Marcella Whittingdale has been reading live news bulletins this morning from the top of the British Airways i360.